In the second installment of IoT For All's Smart City Series, Marc Bielas argues that by learning from the real world smart city approaches behind New York City, Barcelona, and Tallinn, we can collaboratively build a better urban future. If you’re coming from my previous article, What is a Smart City, you might be wondering what smart city developments and technologies look like in the real world. Specific technologies such as distributed sensing, public data, and modular electricity infrastructure are paramount to smart city projects. Diving right into the details of these technologies without contextualizing them in real cities, however, would further the dangerous approach of solutions-first thinking. Individual cities, much like people, are all unique. Looking at specific technologies prior to understanding a city’s needs is a bit like handing a surfer an umbrella or giving a newborn baby a copy of Infinite Jest. In order to manifest the intentions behind a smart city—to make individual aspects of urban life better—those interested in the field must start with context. Only after understanding it fully can they introduce solutions. Rather than focusing on a single technology, this article will introduce a series of smart city strategies as they pertain to leading cities in the field. These strategies represent different but equally important approaches to urban innovation: investments in distributed sensing, infrastructural improvements, and e-Governance. By diving into the work done in New York, Barcelona, and Tallinn, this post will give you a better understanding of the broad range of available methodologies and technologies in the smart city industry. 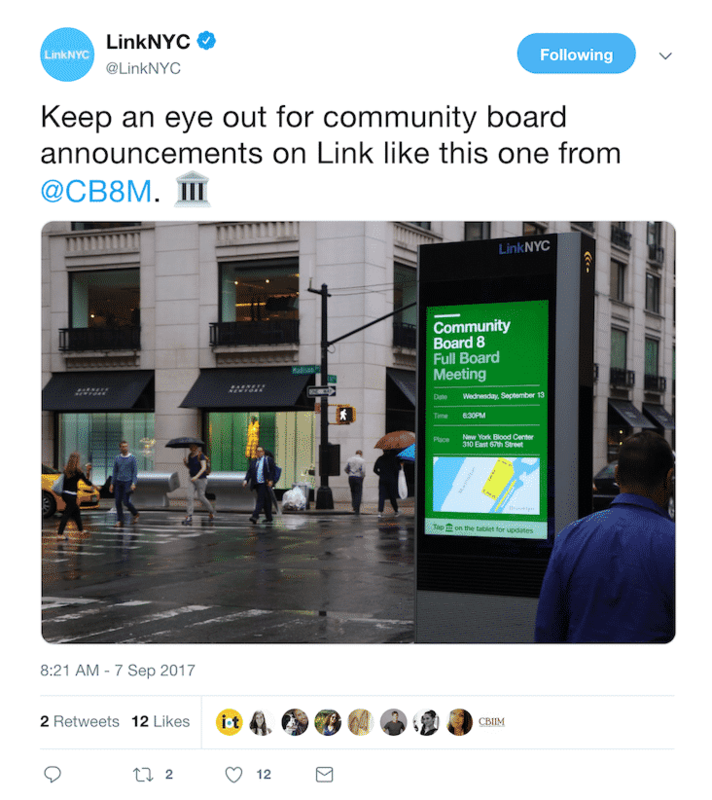 Sensors and Data: New York City, U.S.A.
New York City is a leader in successful sensor deployment and public data access, having incorporated sensing across many city functions including water metering and transportation. In 2009, the city’s Department of Environmental Protection, which delivers 1 billion gallons of water a day to 8.6 million residents, developed an advanced meter reading system consisting of 817,000 individual water meters across the city’s five boroughs. By regularly sending water readings to the department’s operational center, these sensors provide citizens and the government with real-time access to water usage monitoring and easy billing. By eliminating the need for manual metering, the city decreased tax expenditure by $3 million dollars annually. Additionally, the system reduced the need to estimate water usage from 17% to 3% of buildings, meaning that citizens are now more likely to pay for actual usage as opposed to estimated amounts. This reduction caused billing disputes to drop by 56%, developing secondary economic benefits. Furthermore, nothing stops the city from continuously analyzing water data and developing new tools on top of simple metering. One such tool for leak notification has saved users hundreds of millions of dollars since it was rolled out in 2011. New York City faces a host of issues related to moving people across the city. It has the highest public transit ridership in North America—1.73 billion riders in 2017. With an aging transportation infrastructure, the city has taken multiple approaches to modernization. Buses, which support the movement of 2.5 million passengers every weekday, are largely unreliable due to traffic. In order to improve bus service and further incentivize its use, NYC’s Department of Transportation (DOT) and Metropolitan Transportation Authority (MTA) developed a system called Transit Signal Priority (TSP) to decrease the amount of time buses spend at red lights from the historic average of 20%. Since 2008, TSP has used GPS trackers built into public buses and data integration into the city’s traffic lights either to trigger early green lights or to extend a green light when a bus nears an intersection. Since this entire system is digital, the city can continue to decrease bus commute times by tuning specific variables. By 2017, TSP was already deployed in 260 locations and five bus routes throughout the city. Moreover, it had reduced bus delays by about 20%, increasing the viability of aboveground public transit. As this solution expands to more intersections and routes, the city will be able to capture the environmental and economic benefits of even higher transit ridership. With sensors becoming ubiquitous, the amount of data available for analysis is growing rapidly. The NYC government and other cities already produce more data than they know what to do with. These datasets, when combined and analyzed, could continuously reveal potential opportunities for innovation. Key findings might lead to viable business models. 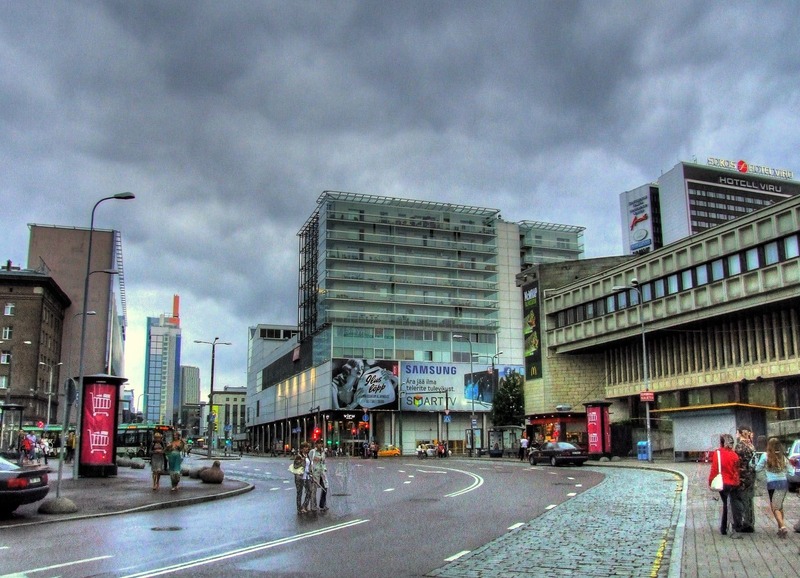 “Open Data” has become a popular idea in the smart city field. Today, NYC provides more than 1,000 open datasets through its public OpenData platform. Citizens and corporations alike can use the available data to discover new ways of improving the urban experience. An example of this was the analysis of more than 150 million taxi trips by MIT, GE, and Audi in 2014. That project revealed that the total number of taxi trips could be easily decreased by 40% if taxi-sharing services existed. These findings and others provide key insights into highly effective routes to minimizing traffic and increasing urban efficiency. Moreover, since they rely heavily on real information as opposed to general urban theory, they may be more likely to succeed. Barcelona is an economic and cultural powerhouse in Europe. Believe it or not, the city has been building smart city infrastructure for over 150 years. In 1854, Madrid’s government mandated the destruction of Barcelona’s city walls and sought to expand the city’s rapidly growing population. Ildefons Cerda, an urban planner and civil engineer, heeded the call for expansion. He developed one of most prominent smart urban plans in history: the superblock. Serving as an octagonal mold for urban fabric, the superblock prioritizes large interior courtyards, wide streets, and buildings that recede from intersections to increase the amount of light entering the city—a stark contrast to the dark and tightly interwoven streets of Barcelona’s historical center. Additionally, by standardizing larger urban forms but allowing for differences in individual building design, the superblock has created a unique identity for Barcelona, allowing it to be visually interesting but not confusingly read as a cohesive whole. Jumping ahead, today’s Barcelona has continued its legacy of infrastructural innovation. Building on top of the superblock network, which consists of horizontal and vertical grids intersected by multiple diagonal boulevards, Barcelona has recently deployed an orthogonal bus network. Highly-efficient hybrid buses repeatedly follow straight paths so that the network can allow passengers to minimize the complexity of their routes. Each rider can reach any destination with only one transfer. 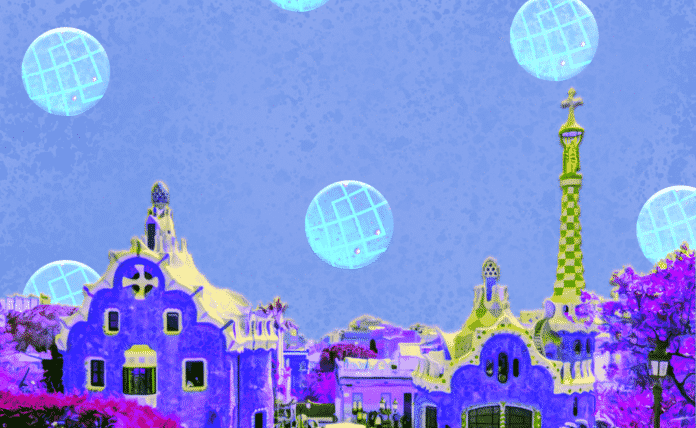 In 2002, Barcelona rolled out another key innovation that has minimized resource use. Districlima is an urban network of district-wide heating and cooling systems. It’s similar to what is in use at many American college campuses, albeit at a smaller scale. By providing steam as well as hot and cold water at a city-wide level, Districlima is able to implement environmental best practices such as using waste heat from industrial processes to create steam and leveraging plentiful sea-water for cooling. Districlima saves more than 17,500 tons of C02 annually and reduces fossil fuel consumption by 60%. Barcelona’s neighborhoods have also begun to experiment with another important infrastructural pursuit: smart waste management. Some neighborhoods have constructed large subterranean vacuum networks to minimize both the stench of overflowing dumpsters and the sound of trash collection vehicles. Other neighborhoods have partnered with companies to develop specialized sensors that alert waste management services when trash bins fill to a preset level. Those partnerships actively minimize the need for trash collection crews to waste resources by emptying trash bins that still have capacity. 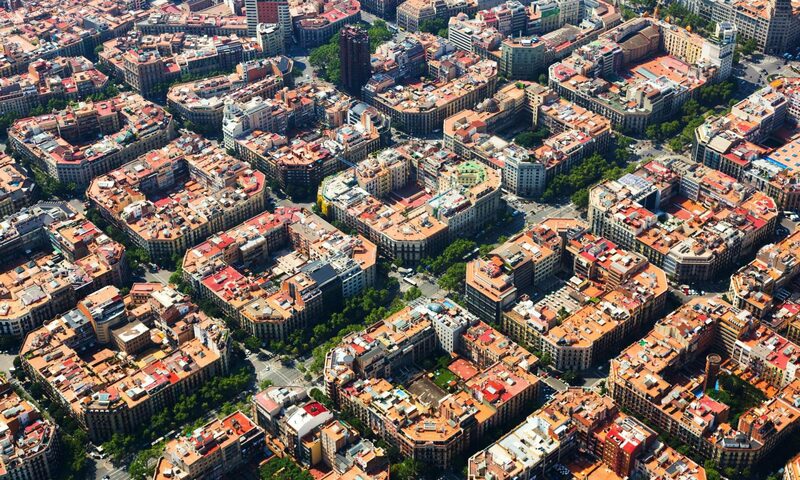 By allowing for exploration through small pilots in different neighborhoods, Barcelona will build an understanding of best practices that it can deploy across the larger population. When the Soviet Union imploded in 1991, Estonia regained its independence and was forced to reboot as a country with few resources. Estonia hoped to jumpstart the process of rebuilding by piggybacking on the internet boom in 1996. The nation quickly invested in a project called “Tiger’s Leap,” which rolled out computers with internet access to all schools and universities. In 2000, armed with a computationally savvy populace, Estonia’s government led the world by declaring internet access a basic human right. The government began rolling out “e-Estonia“—a suite of tools that would fully digitize the country’s government. Digitization has enabled the Estonian government to operate 24 hours a day while maximizing the efficiency of taxpayer dollars. To keep citizen data safe, e-Estonia has become an early adopter of blockchain, which the government is integrating across its entire suite of tools. The government already authenticates property registries, business licenses, and judicial actions through blockchain technology. Given the level of personal data protection the government offers, Estonians can also have full access to their health data online without fear. They can seamlessly transfer between doctors and access digital prescriptions. World leaders like the USA lag far behind such a deep integration of useful technology into government practice. In the age of cyber-warfare, Estonia has also embarked on a mission to create the world’s first “Data Embassy,” which will contain a complete backup of the country’s citizens and data in Luxembourg. For a small country of only 1.3 million people (including e-Citizens), Estonia has managed to successfully prepare itself for our rapidly changing times. Since data privacy and e-Services were designed and built from the ground up—instead of through piecemeal replacement of pre-existing infrastructures—Estonia is better positioned to adopt developing technologies than most other nations. While individual smart city deployments will (hopefully) be tailored to their specific contexts, the general frameworks and methods used when developing smart city solutions are highly transferable. Industrial, governmental, and public stakeholders alike will benefit from sharing learnings and best practices across cities and nations. Together, we can collaboratively push each other toward a better iteration of modern urban life. Marc Bielas is a Product Manager at Leverege. He focuses on deploying dynamic enterprise IoT solutions. He also writes about smart cities for IoT For All. He recently graduated from Yale University, majoring in Computing and the Arts (CS & Architecture) and Energy Technology. Will You Be a Digital Winner or a Digital Loser?